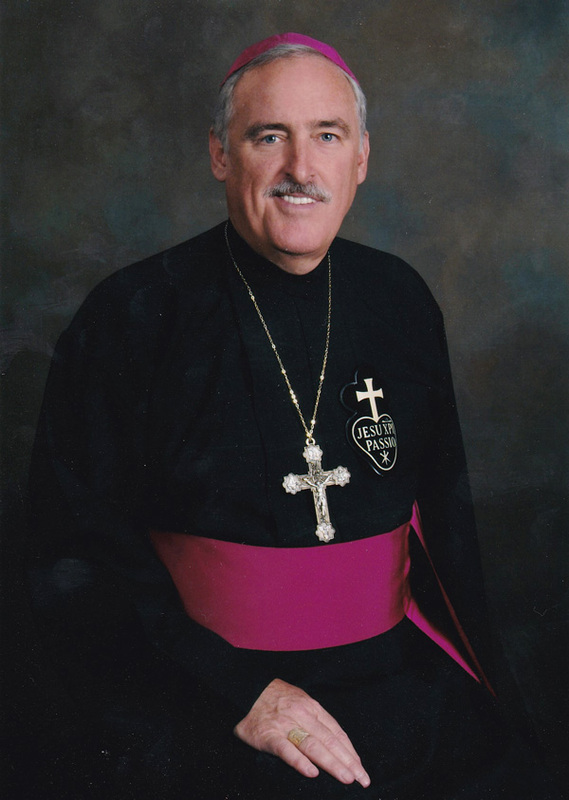 Bishop Neil E. Tiedemann, C.P. After eight years serving on the island of Jamaica, Bishop Neil Edward Tiedemann, C.P., says it is “a joy to come home” to the Brooklyn Diocese. Pope Francis named Bishop Tiedemann, an auxiliary bishop for the Diocese of Brooklyn. The appointment was formally announced by Msgr. Walter Erbi, charge d’affairs of the nunciature in the U.S., in Washington, D.C., on Friday, April 29. He was also named titular bishop of Cova, Algeria. Bishop Tiedemann, 68, will mark his 41st anniversary as a Passionist priest on May 16. “We in the Diocese of Brooklyn are delighted to welcome home Bishop Neil Tiedemann,” Bishop Nicholas DiMarzio said in a written statement following the announcement. “He has the heart of Christ,” Bishop DiMarzio said of his new auxiliary, and expressed his gratitude to Pope Francis for transferring Bishop Tiedemann for service in the Brooklyn Diocese. “Bishop Neil knows the ‘smell of his sheep,’ and will dutifully assist Bishop Nicholas DiMarzio in shepherding the local church of Brooklyn and Queens,” noted Brooklyn-born Father Robert Joerger, C.P., Passionist provincial. “His love for the poor, his zeal for evangelization, and his commitment to Catholic education undoubtedly came to the attention of Pope Francis,” Father Joerger said. News of the appointment spread quickly among the new auxiliary’s friends, family and former parishioners. “What surprised me is how many people know about this. My phone has been ringing since 6 a.m.,” Bishop Tiedemann said via telephone from his Mandeville office a few hours after the announcement. About two weeks earlier Archbishop Nicola Girasoli, apostolic nuncio to Antigua and Barbuda, personally imparted the news to him while he was in Trinidad for work relating to the Antilles Episcopal Conference. Bishop Tiedemann says he will miss Mandeville, where Catholics comprise about two percent of the population. Since he arrived in 2008, he has promoted catechesis, vocations, a team approach to pastoral ministry and encouraged evangelization through the Biblical Animation of all Pastoral Life Committee. The bishop’s pride and joy has been in the area of education: “We’ve opened a new high school, Mount St. Joseph Catholic High School. It’s a great blessing,” he said, adding that most students are not even Catholic. Bishop Tiedemann also serves on the Antilles Episcopal Conference of Bishops and the Episcopal Conference of Latin America (CELAM). Bishop Tiedemann was born March 5, 1948 at Peck Memorial Hospital in Crown Heights, which is now closed. His parents, former Brooklynites from Red Hook, raised him in St. Catherine of Sienna parish, Franklin Square, L.I., where he attended the parish school. Vacations were spent in Flatlands with his maternal cousins, who lived in St. Thomas Aquinas parish. At his home parish, the Passionist Fathers were regular visitors at the weekend Masses. Inspired by their way of life, he attended the Passionists’ former Holy Cross H.S. Seminary, Dunkirk, N.Y.; Holy Family Seminary, West Hartford, Conn.; LaSalle University in Philadelphia, Pa., and earned masters’ degrees in theology and divinity at St. John’s University, Jamaica. As a seminarian, he was involved in outreach efforts with Catholic Charities Brooklyn and Queens (CCBQ) near St. Barbara Church, Bushwick, where he ministered with Sister Rose McGeady, D.C. He entered the Passionists in 1970 and professed perpetual vows on Aug. 22, 1974. He was ordained to the priesthood May 16, 1975 in the Brooklyn Diocese by Bishop Francis J. Mugavero. “When I was first ordained, I went down to Bolivia with some priests from the Brooklyn Diocese. The diocese sponsored my preparation in Spanish,” he said. His first assignment was as parochial vicar at Immaculate Conception, Jamaica, 1975-82, and he continued his outreach work in Jamaica with CCBQ. He went on to serve at the largely Hispanic parishes of St. Joseph, Union City, N.J., and Blessed Sacrament, Springfield, Mass., and ministered in Tegucigalpa, Honduras, where he helped start an AIDS hospice. One of the joys of his priesthood has been the opportunity to serve the Red Hook church where his grandparents and great grandparents wed. His parents met at the local Pilgrim Laundry, now closed. He served there from 1998 until 2005, and oversaw the 150th anniversary celebration at the parish. In 2006, he was elected to the provincial council of the Passionist Congregation. Two years later, Pope Benedict XVI named him the third bishop of Mandeville. Bishop Daily was one of the co-consecrators when he was ordained a bishop on Aug. 6, 2008. On the same day that he was named an auxiliary for Brooklyn, a new archbishop was named for Kingston, Jamaica. Bishop Tiedemann anticipates he will remain in Mandeville until Bishop Kenneth Richards is installed over the summer months. Last weekend, parishioners at Visitation B.V.M. said they have waited 11 years for “Father Neil” to come back to the diocese, so they don’t mind waiting a few more months. Florentino remembers “Father Neil” because he was enthusiastic, approachable and fit so well into the fabric of the community. “He knew everybody’s name. 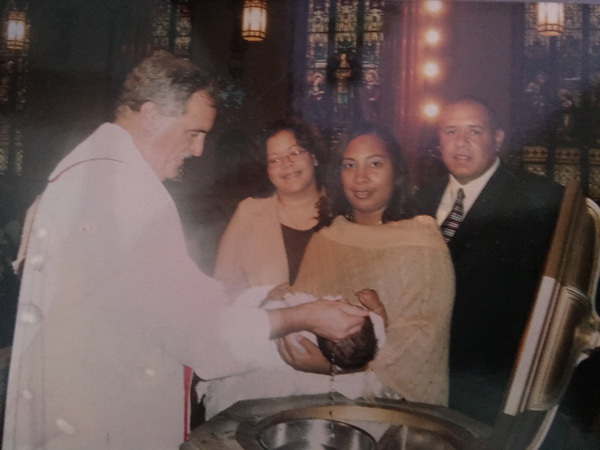 That’s what made him so special,” added Robert Berrios, parish sacristan. 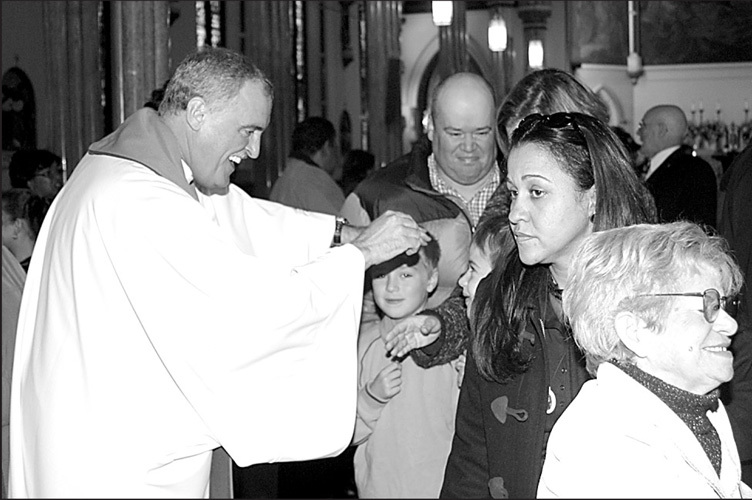 Current pastor, Father Claudio Antecini called the news “a great blessing” for the diocese and his parish. Once he gets settled in his new role, Father Antecini looks forward to welcoming Bishop Tiedemann back to Visitation to celebrate Mass and see how the faith is flourishing in Red Hook. Bishop Tiedemann is the first member of a religious order to ever be named a bishop for the Brooklyn Diocese. I attended Holy Cross Seminary in Dunkirk, N.Y. and was a class mate of Neil Tiedemann. I’m not surprised he has been successful, I’m proud of him and his accomplishments. Congratulations! I am a little late in celebrating your blessing. I remember you from St. Joseph &Micheal Church in Union City, NJ in the “70’s. Our family celebrated many a Spanish and English mass with you. God be with you always. Hi my name is Lydia Guzman . I’ve lived in Redhook for 17 years.. father Niel was our priest.. every mass he did the children used to run up to him and give him a big hug.. that was a beautiful thing.. I was sad to see him go.. but am excited he’s back in Brooklyn.. I plan on going to his new church..